Chipotle is looking to attract some customer loyalty. The burrito chain announced "Chiptopia" on Monday, its three-month summer rewards program that offers free food after four qualifying visits. There are three levels to the program: mild, medium and hot. Customers must spend at least $6 to earn a credit, and the credits reset every month. The program officially launches July 1 and runs through September. Four credits within a month earns diners mild status and a free entrée. A customer's eighth credit within a month earns another free entrée and a promotion to "medium" status. Eleven visits within a month brings a third free entree and a bump to "hot" status. Burrito fans that achieve hot status for all three months will also get free catering for 20 (and will likely also become the most popular person in the office if they decide to share). Only one purchase a day qualifies for the rewards program, and a redeemed award counts as a purchase toward the next level. Customers will get free chips and guacamole with their first purchase with the card. 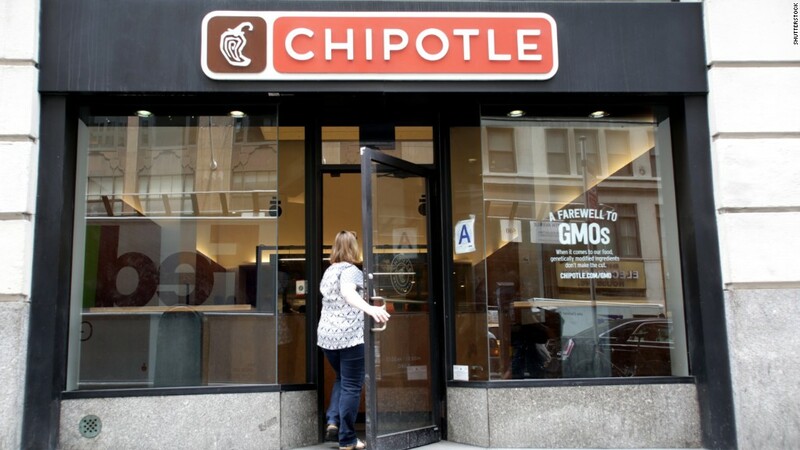 Chipotle (CMG) could use a boost in customer loyalty these days. The multi-state e.coli outbreak at its restaurants last year has dampened foot traffic and dented the brand's image. Customer satisfaction with the Denver-based chain tumbled last year, according to the American Customer Satisfaction Index Restaurant Report released last week. Chipotle's score dropped 6% from last year. Chipotle's stock has also been knocked around and its shares fell to their lowest level in almost three years earlier this month. In April, the company reported its revenue dropped 23% to $834.5 million in the first quarter compared to the year before, while restaurant sales dropped nearly 30%. While Chiptopia might be a short-lived program, a more permanent program could be in the works. "...We will be carefully listening to our customers and using what we learn as we consider the design of an ongoing rewards program," said Mark Crumpacker, chief creative and development officer at Chipotle in a release.